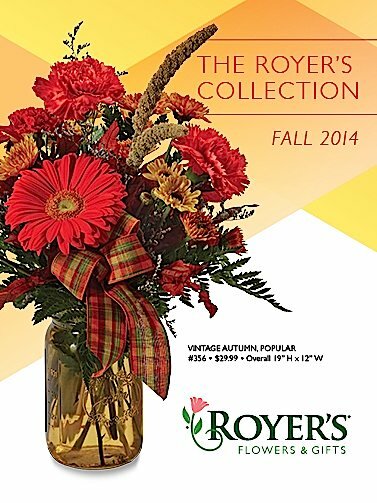 With each of our catalogs, we change approximately 20 percent of the product lineup. Ultimately, it’s our customers who determine which arrangements stay in the lineup over the long haul. How an arrangement makes it into the menu is an exhaustive process. It’s a long way from auditioning for a role to walking the red carpet, in other words. Weak-selling arrangements are removed, or they are redesigned to give them a more current look. Sometimes an arrangement is discontinued because its container is no longer available. Once we know how many items are being removed, we begin developing the new items. Inspiration comes from visiting other florists; from walking through gift trade shows in Atlanta and Dallas; from visiting container suppliers to spot trends in colors and styles. Some of the ideas come from previous holiday selections. If a Mother’s Day item sells out early, for instance, we know there is strong customer demand for it, and it could get into the lineup. Flower growers are part of the process, too, as we constantly seek out new suppliers. They must be able to provide premium product on a consistent basis. Currently, we are testing flowers from Ethiopia. In late May, a small team pulls together new containers, flowers and ideas in order to develop new arrangement concepts. Once we have the concepts, a team of designers turns them into actual arrangements, collaborating on some items or coming up with their own interpretations on others. We buy flowers in all varieties and colors to keep our lineup fresh and interesting for our customers and designers alike. We also want flowers that we know will be available for at least a year. With the arrangements made, the original group reconvenes in June/July to make final selections. The arrangements are “value engineered” to give the best value to our customers. Perhaps better-priced flowers or containers can be used without upsetting the integrity of the designs. Finally, the approved arrangements are professionally photographed for inclusion in the catalog. And now it’s in the hands of our customers, who will vote with their pocketbooks and ultimately determine which arrangements stay in our lineup.